With that said, healing through the use of energy medicine and other energetic healing techniques happens when the movement of subtle energy is restored to the affected parts of the energy field. Healing charges the subtle self with “positive energy”. It raises the vibratory level of the energy field in and around the physical body where negative thoughts and emotions have attached. This causes the “negative” energy to break apart and fall away. 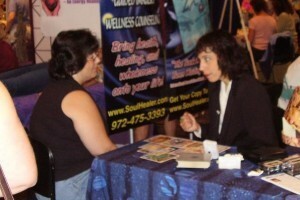 The job of the healer, is to help get your client’s life force energy flowing again. This is achieved by breaking up energetic blockages, dispersing stagnant energy and supporting the movement of energy in the body. As an energy medicine practitioner, please remember two things. 1) Healing energy flows through you, but it ultimately come from God, the Universe or from some power far beyond us. So please do not take credit or allow your ego to jump into the middle of the whole process. 2) You can only assist in restoring health and balance to someone’s life force energy. Your client must also be part of this process. © Copyright Rita Louise, Inc. – www.soulhealer.com . All rights reserved. Tagged alternative health, balance, emotions, energy medicine, healing, holistic health, prayer, smudging, spiritual, subtle energy, thoughts.